On Friday October 19th, Jovesolides will create a space for collective thinking and debating. 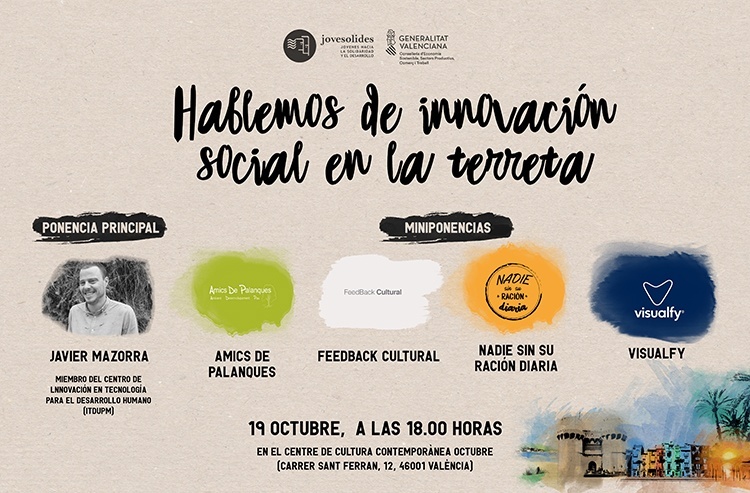 This time at the seminar “Let’s talk about social innovation in the region”, which takes places in the Centre de Cultura Contemporània Octubre. What is scalability? Is it an essential phase of social innovation processes? How can a project go from the local to the global? In collaboration with Red Creactiva, our entity keeps on working to make social innovation and social entrepreneurship visible. This time, the program focuses on the mos recent information about this question and the experiences of social innovation carried out in Alicante, Castellón and València. 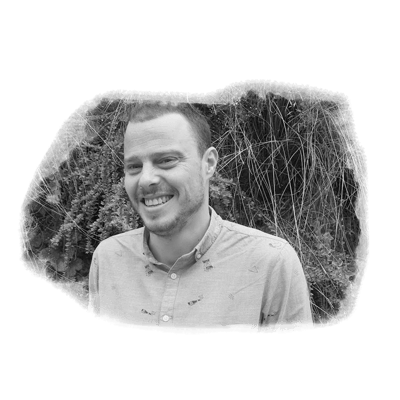 Javier Mazorra is a chemical engineer (University of Las Palmas de Gran Canaria) and has a Masters Degree in Technology for Human Development. He is also a Doctor in Chemical Engineering by the Polytechnic University of Madrid (UPM). He has developed his carrier as a reseracher and is a member of the techincal staff in the Technology Innovation Center for Human Development of the UPM (itdUPM). 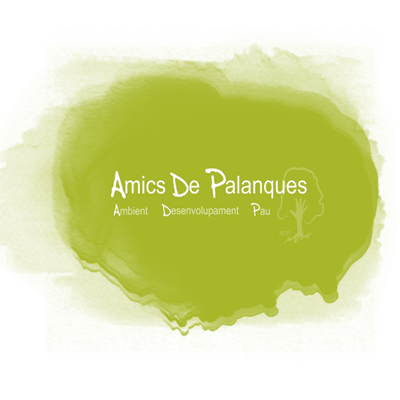 Born in 2005 in Castellón, this association works in a “holistic, efficient and consistent way to find social an environmental-friendly solution”. Their tools: science, arts, technology and people. During the seminar they will present their project: Fontivent. A company specialised in cultural management. They offer “cultural consulting services by choosing and supporting projects for different proposals both in the public and private sector”. They also design and implement proposals for cultural and social innovation. 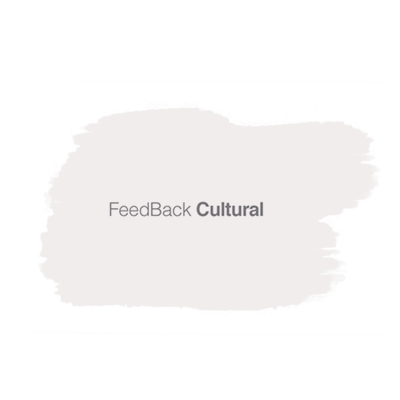 Feedback Cultural will present their project called Cultura Accesible. This is an initiative developed by three young people from Castellón the main goal of which is to provide a second opportunity for homeless people. The goal of the project that will be presented during the seminar is “to cover a basic need such as daily food and to offer a second chance in life”. Visualfy is a company whose main goal is to increase the quality of life of deaf people by means of technological solutions. Recently, Visualfy has been acknowledged by B Corporation as one of the organisations with a better social impact in our country. This event took place in the framework of the InnovaT project and is possible thanks to the collaboration of the Regional Ministry of Sustainable Economy, Productive Sectors, Trade and Labour, through the Directorate General for Economy, Entrepreneurship and Cooperative Promotion.